Your child is never too young for a low-emissions ride, which is just what he’ll get with the new Green Toys Race Cars. Made like all Green Toys — in the USA with 100% recycled plastic milk containers — these sleek racers tear up the track (or living room at least) while doing less damage to the planet than conventional plastic toy cars. Green Toys Race Cars have no dangerous metal axles and zero BPA, PVC, phthalates or external coatings. 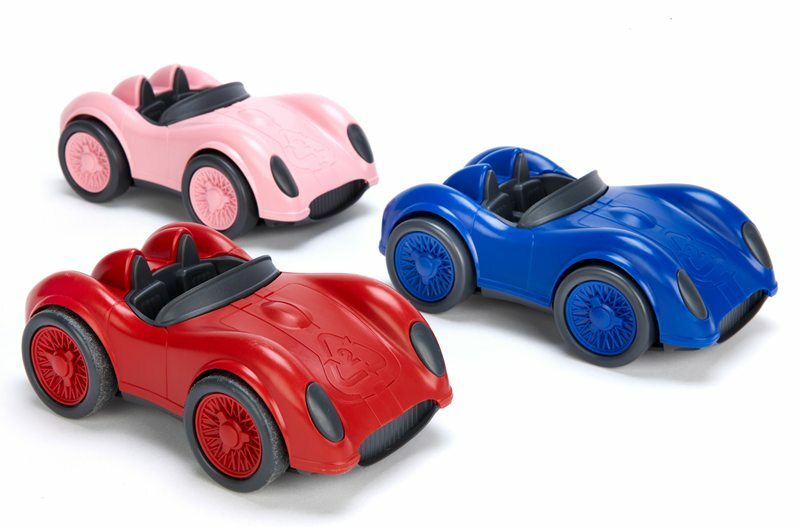 Packaged in sleek, almost non-existent, low-impact, recycled and recyclable packaging, these cars are available in red, blue or pink, so there’s sure to be a color to please your child. Appropriate for kids ages one year and up.